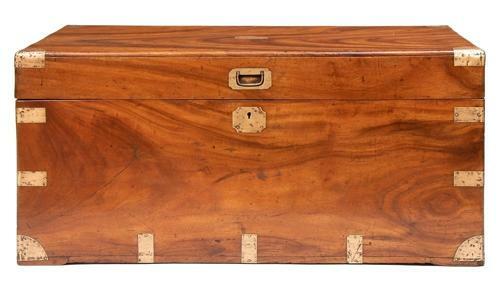 Camphor Wood Military Trunk or chest c.1850. This is a very good example of the classic original Camphor wood military campaign chest.We have sympathetically restored the chest and polished the trunk to restore that warm honey colour we all love. This chest has a lovely swirling example of camphor wood on the top which is exactly the look all the dealers love.